Nigerian actor and comedian, Nkem Owoh has opened up on how he didn't succeed when he tried to organise an award ceremony with some people in the industry. Speaking while delivering his acceptance speech after he was presented with a lifetime achievement award at the 13th edition of the African Movie Academy Award (AMAA), legendary Nollywood actor, Nkem Owoh, revealed that he didn’t succeed when he tried to organise an award ceremony with some people in the industry. The comic actor popularly known as Osuofia, who spoke at the event held at Eko hotel and suites in Lagos, said: “I would like to appreciate the organisers of AMAA awards for the hard work they have been putting into this event. “It’s not easy to have a 13th edition. Few years back, I decided to have something like this and I called some people in the industry. We only got to organ, the -nise is another story. “I want to appreciate Peace for sustaining this award to this level, if you think I am wrong go and try like we did. 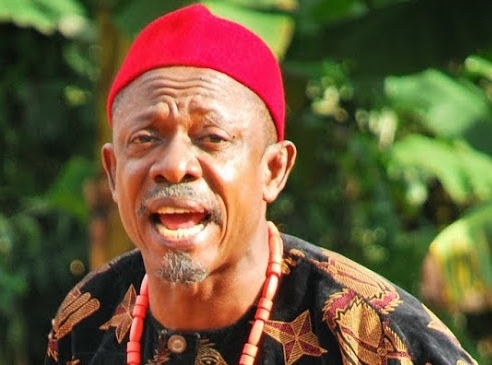 The Enugu-born actor began his acting career as far back as 1987 when he featured in the movie adaptation of Chinua Achebe’s book, ‘Things Fall Apart’, with Pete Edochie. He is best known for playing lead role in the 2003 movie, Osuofia in London, which earned him the nickname, Osuofia.